Being the second son of Konoha Military Police captain and Uchiha clan head Fugaku Uchiha, Sasuke grew up in the shadow of his older brother, Itachi. Itachi was an acknowledged prodigy who was viewed by the Uchiha clan as a genius, and whose work would further strengthen the bonds between the village and the clan. Sasuke's father in particular took an active interest in Itachi. 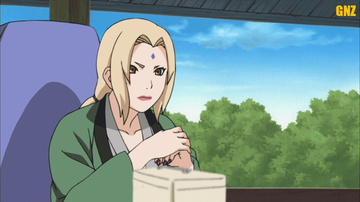 Itachi, on the other hand, was rather ambivalent and full of oddly conflicting undercurrents, acknowledging Sasuke by taking interest in his progress as a ninja when even their father did not, but spending little quality time with Sasuke. Even after Sasuke enrolled in the Ninja Academy, he was still unable to escape Itachi's shadow. Despite consistently scoring at the top of every class, Sasuke failed to receive any recognition from his father, who defined Sasuke's success only in terms of his older brother. Itachi acknowledged the rivalry Sasuke felt, telling him, "We are brothers. I am the wall you must climb over, so you and I will continue to exist together." Itachi's relationship with his father deteriorated further after Itachi was questioned by other members of the Uchiha clan regarding the apparent suicide of his best friend, Shisui. As Itachi's behavior became increasingly bizarre, Sasuke's father began spending more time with Sasuke, and began teaching him the Great Fireball Technique, a common family jutsu seen as a sign of coming of age in the Uchiha clan. After only one week of training, Sasuke (age 7 at the time) performed the jutsu in front of his father, thus finally receiving his father's recognition. Sasuke's father told him that he could now proudly wear the clan's emblem on his back. Forebodingly, Sasuke also received a stern warning not to follow in Itachi's footsteps. Shortly thereafter, Itachi massacred every member of the Uchiha clan, sparing only Sasuke, saying that he was not even worth killing. In addition, Itachi told him, "You've always wanted to surpass me. That's why I'm going to let you live ... if you wish to kill me, then hate me, despise me ... and by all means flee, cling to your wretched life." Itachi also revealed to Sasuke where the secret meeting place of the Uchiha was hidden, and suggested that Sasuke go there to learn what the true history and purpose of the Sharingan was. Sasuke thought he had fainted after this, but later remembered that he had managed to stand back up, awaken his Sharingan, and pursue Itachi. 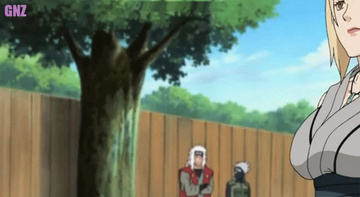 Upon reaching Itachi, he managed to knock off his forehead protector. Itachi was seen shedding a tear as he was picking up the forehead protector. He then proceeded to incapacitate Sasuke, who awoke in the hospital remembering only that which Itachi wanted him to.